Pest description and crop damage Several species of leafrollers [family: Tortricidae] are pests of tree fruits. These species use native host plants as well as fruit trees. The different species of leafroller cause similar damage to apple trees but differ in appearance and life cycle. 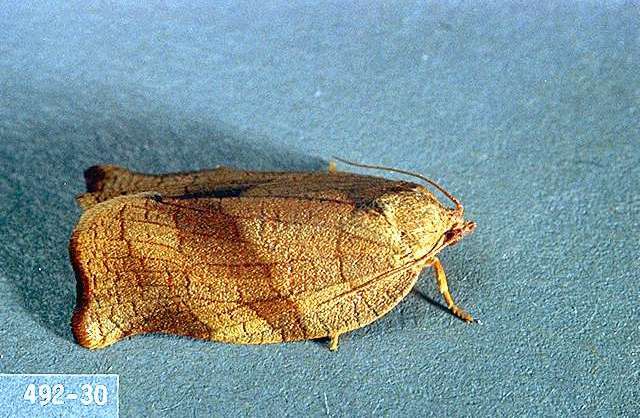 The principal leafroller pests of fruit trees can be divided into single-generation moths, such as the fruittree leafroller and the European leafroller, and two-generation moths, such as the obliquebanded leafroller and pandemis leafroller. Adults of these species vary from fawn-color to dark brown. 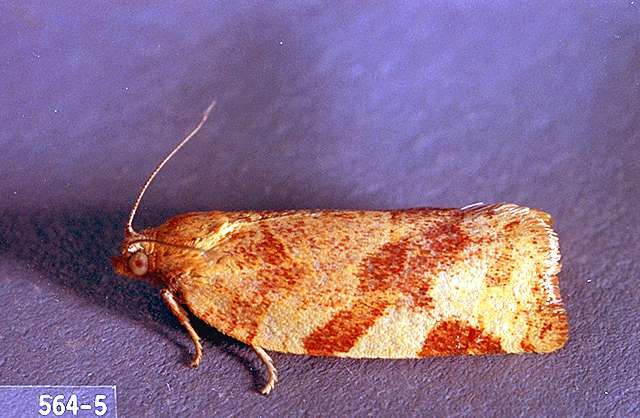 There are distinctive bands or mottling on the wings. Wingspans range from 0.5 to 1 inch. The larvae of these species are all green caterpillars with a light brown to black head, depending on the species. 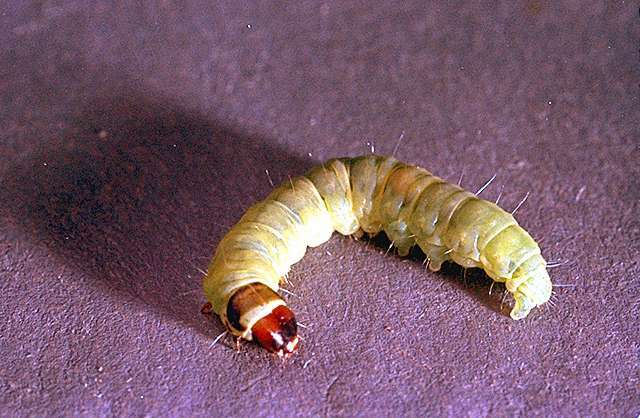 Pandemis larvae are green with a green or brown head. Obliquebanded leafroller larvae are similar to pandemis larvae, except the head is dark brown to black. As the name leafroller implies, the larvae roll and tie leaves together for shelter and feeding. They thrash about violently when disturbed and may drop from the leaf suspended by a silken thread. Feeding on growing points on young plants can promote undesirable branching. 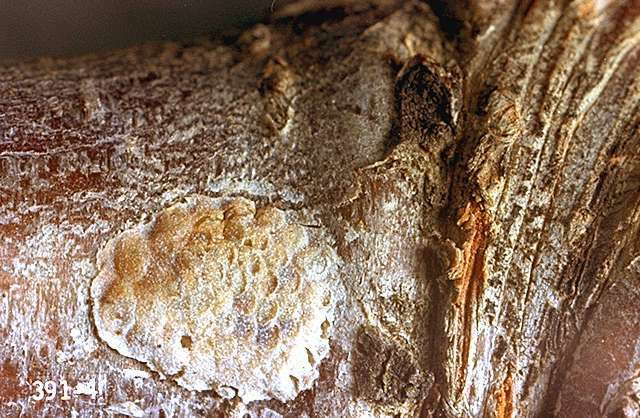 Prebloom leafroller feeding within the cluster results in fruit abortion or deeply scarred fruit. Young larvae are tiny and notoriously difficult to sample but they are typically most damaging because of feeding on developing fruitlets. 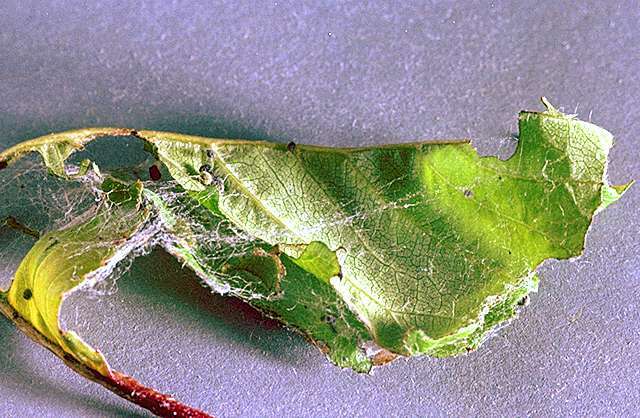 The later life stages are evident as the caterpillars reach maximum size and the number of damaged leaves increases. 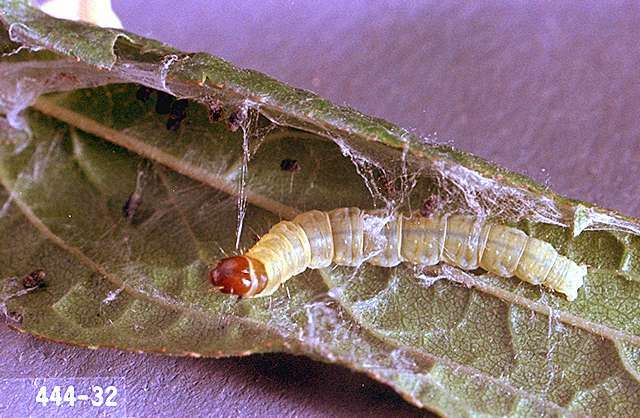 Mature leafroller larvae often move to a new leaf just prior to pupation. By this point, any damage to fruit is done and it is better to allow natural enemies to reproduce on the mature larvae than to attempt treating the population. 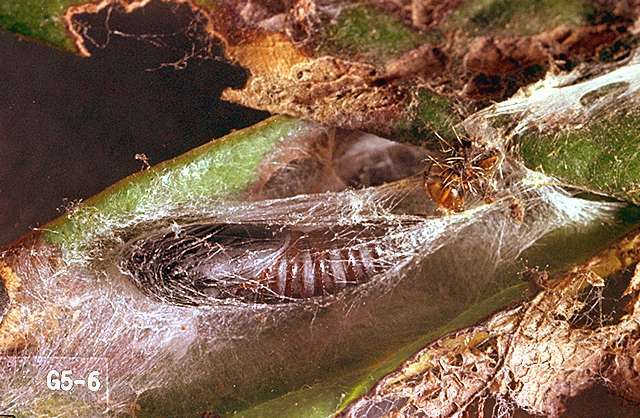 A large complex of predators, parasitoid wasps, and parasitoid flies (Tachinidae) attack leafroller larvae. 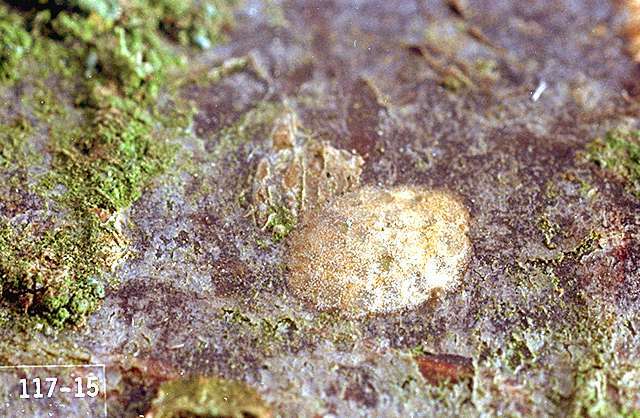 Two-generation leafrollers overwinter as immature larvae under the bark on scaffold branches of a variety of host plants. Larvae may feed during warm periods in winter but become active in spring with onset of new growth. They feed for several weeks, then pupate in rolled leaves. 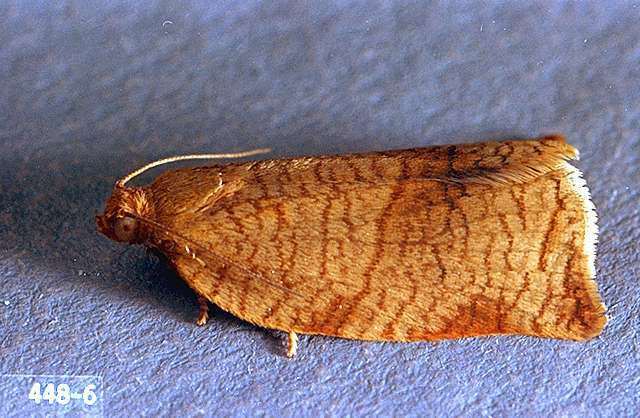 Adult moths emerge in late April to May. These lay eggs for the next generation. The next generation hatches in early summer and does the most damage. Scouting and thresholds Scouting young larvae is challenging, but mature larvae are readily apparent. Populations can be detected early in the season by opening buds around bud break to examine for silk, frass, and minute larvae using magnification. Observe early spring growth for rolled leaves and feeding damage on new growth. Very low temperatures in winter significantly reduce overwintering populations of larvae. Spiders and parasitic wasps, as well as predators like the brown lacewing, greatly reduce leafroller populations throughout the year. 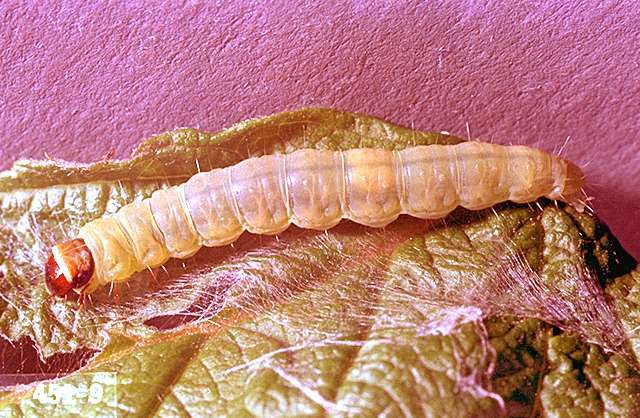 Parasitism is particularly intense on mature larvae just prior to pupation, a time when insecticide treatments are not effective against leafrollers, but have a strong negative effect on the natural enemy community. Fruit thinning can reduce problems significantly with some leafrollers. Thin fruit clusters to a single fruit. 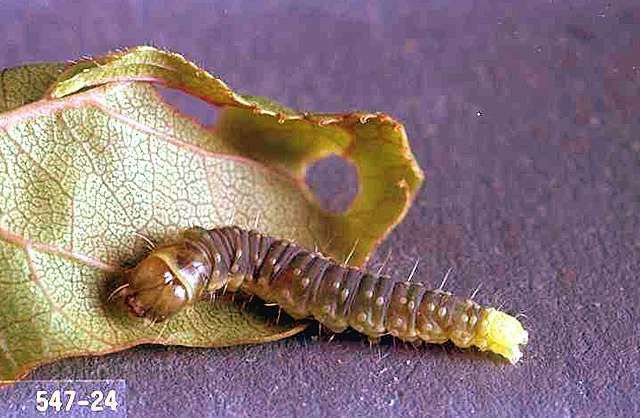 Hand-pick rolled leaves containing larvae or pupae. pyrethrins (often as a mix with other ingredients)-Some formulations are OMRI-listed for organic use. -Highly toxic to bees. zeta cypermethrin-Highly toxic to bees. spinosad (Entrust 80WP) at 2 to 3 oz/a in up to 100 gal water per application. Do not exceed three applications or 9 oz/a per growing season. REI 4 hr. [Group 5] OMRI-listed for organic use. spinosad (Entrust 80WP) at 2 to 3 oz/a in up to 100 gal water per application. Do not exceed three applications or 9 oz/a per growing season. REI 4 hr. PHI 7 days [Group 5] [larvicide] OMRI-listed. 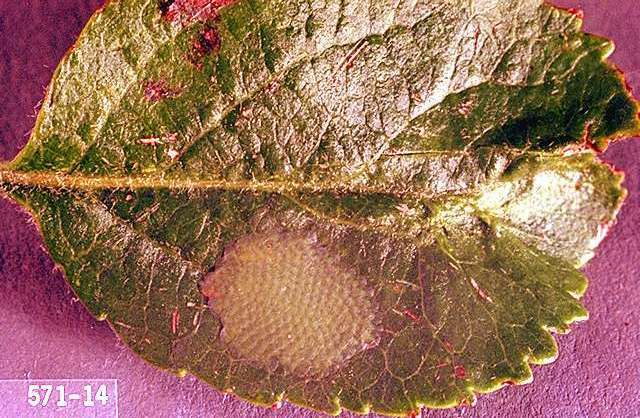 Resistance management Leafrollers can develop resistance rapidly to chemical controls. Alternate chemistries and modes of action.